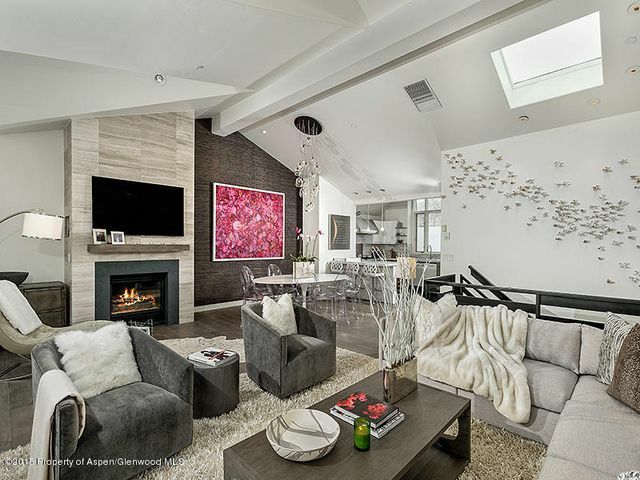 This breathtaking Aspen home hit the Aspen/Glenwood MLS around mid March, 2015. 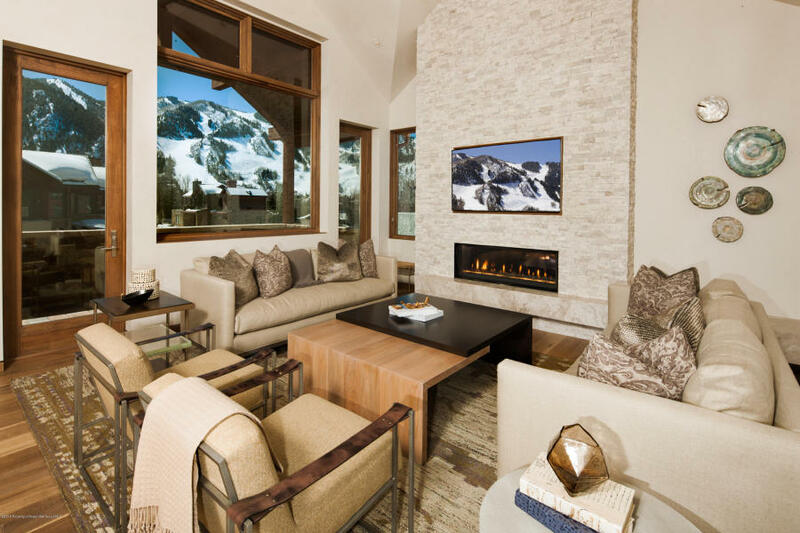 This privately gated home boasts seven bedrooms and outstanding views of Aspen Mountain, Aspen Highlands, and Maroon Creek. Situated on a flat one-acre lot on exclusive lower Red Mountain, this property features a five-bedroom main house, two-bedroom guest house, large pond, and extensively landscaped gardens. Just a few of the special touches include private master suite with handsome office, gym that opens to the patio and family room complete with home theater, pool table, and full wet bar. Offering an open floorplan with wonderful, heated outdoor living spaces, this home feels intimate for family gatherings and grand enough for gracious entertaining. In addition to the two-car garage, there is a third garage bay large enough for an electric car or motorcycles and toys. 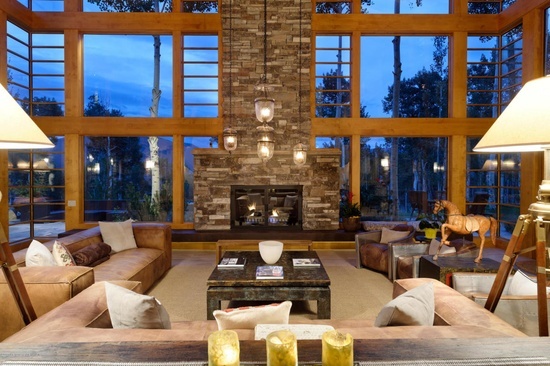 Dense aspen groves encircle this amazing ski-in/ski-out home. Nestled 500 feet above Aspen, this stunning contemporary estate looks out over the surrounding mountains and features spectacular views of Aspen and Hunter Creek. Offering extraordinary privacy and nearly 8 acres directly bordering Buttermilk ski area and the Owl Creek Nordic Ski Trail, this home is the perfect blend of privacy and outdoor activity. 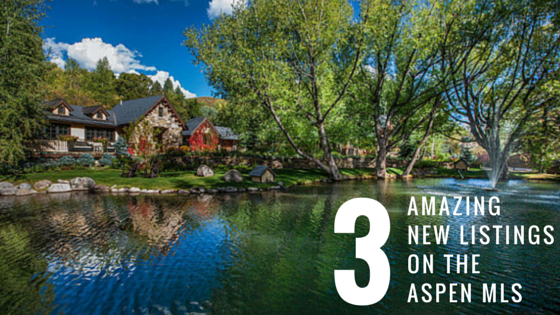 300 Eagle Pines Drive hit the Aspen/Glenwood MLS in early April, 2015. 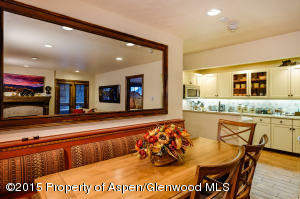 This brand new home is centrally located in downtown Aspen. Walking to Aspen’s central core takes only a few minutes. This five bedroom, 5,000+ square-foot single-family home has an open floor plan and multiple decks with breathtaking views. 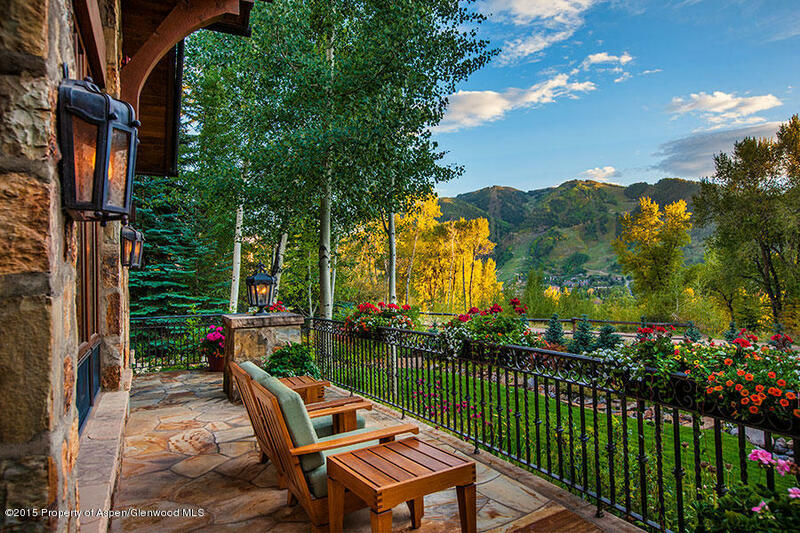 Soak in views of Aspen Mountain, Shadow Mountain, and Buttermilk from three above-grade bedrooms. A state-of-the-art entertaining area comes complete with a media center, wet bar, and billiards area. Extensive detail went into designing the clean lines, comfortable elegance, and modern style. This listing was released on the MLS in early March, 2015. Are you interested in learning more about these listings? 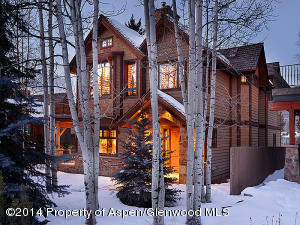 Would you like to see what other luxury real estate in Aspen is available? Please do not hesitate to email me at Pat@Aspen4Sale.com.